If Congress fails to reach a deal on immigration in the next couple of weeks, thousands of young people who were brought to this country as children could soon start losing their protection from deportation and their ability to legally work in the United States. 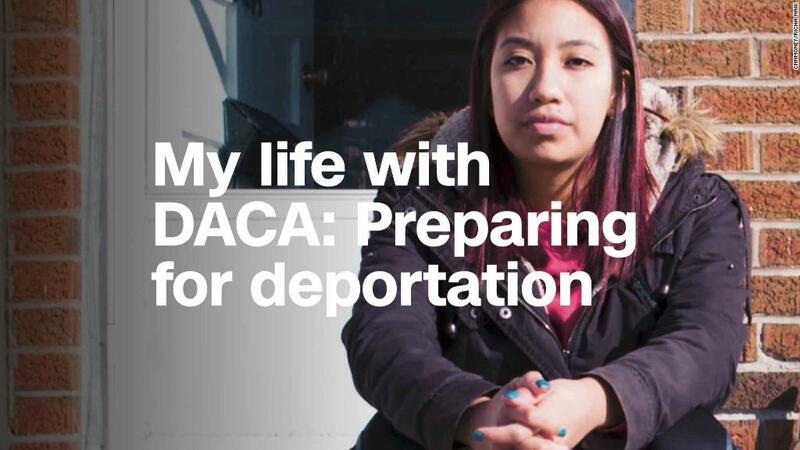 The Deferred Action for Childhood Arrivals program has allowed nearly 689,000 Dreamers to come out from the shadows and openly attend school, get work permits and driver's licenses and even buy homes without the fear of being deported. But the March 5 deadline to end DACA, imposed by President Trump imposed last year, is looming. And while the courts have put the termination on hold for now, thousands of DACA recipients will become vulnerable to deportation if the court ruling is overturned and new legislation isn't put in place. For some communities, that would mean the possibility of losing fellow residents who are firefighters, nurses, emergency care workers and teachers. Here are three Dreamers who are saving and shaping lives in their communities, even as their own fate in America remains perilous. Ana Cueva is an ICU nurse whose DACA status expires in October. As a shock-trauma nurse in the Intensive Care Unit of Intermountain Medical Center in Murray, Utah, Ana Cueva has to be prepared for every type of emergency. "We're taking care of the sickest of the sick," said Cueva. She's cared for patients who have been in near-fatal accidents and others who have undergone multi-organ failure. She has even helped in cases of severed spinal cords. "Every day is high anxiety. I have to be on my toes." "I've had to resuscitate patients," said Cueva. "It's emotionally taxing, but I have to have some degree of separation while I do my job because [the patients'] families are watching." She's lost patients, too. "We do our best, but it's hard when that happens," she said. Cueva was brought to the U.S. from Guadalajara, Mexico, when she was 5 years old. The family overstayed their tourist visas and settled in Utah. "America became my home," she said. One day when Cueva was seven, her mother collapsed at work due to complications from a tumor. "She would tell me how the nurses at the hospital helped her through a difficult time." That helped Cueva to decide that she wanted to become a nurse one day. 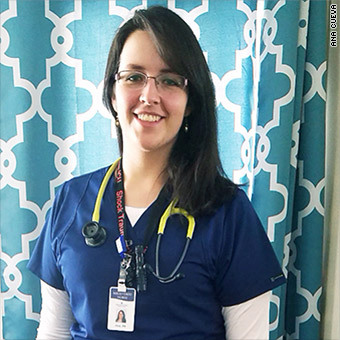 In 2012, she received her DACA status, opening the door for her to enroll in nursing school. She graduated from Utah Valley University's nursing program with honors in 2016 and started working at the hospital last year. But now she's worried her nursing career may be short-lived. Cueva's DACA status expires in October. "I will be let go if there is no solution for us Dreamers," she said. Her coworkers have mixed feelings about her situation, she said. Some are supportive. Others have told her she has to face the consequences of coming into the country illegally. "I've worked so hard for my accomplishments and my skills as an ICU nurse. I can't give all that up and go away," said Cueva. "This is my life. If there was any way I could have applied to be a legal resident or citizen of the United States, I would have done it in a heartbeat." Jose Tapia-Garcia will have to stop working as an EMT/Firefighter if DACA dies with no permanent solution. 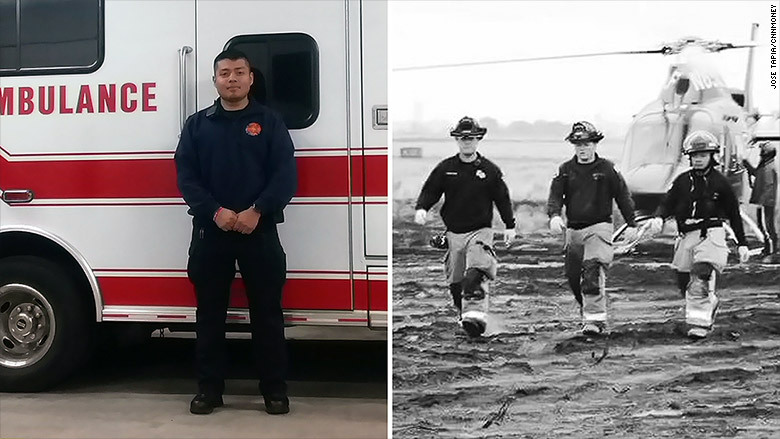 Jose Tapia-Garcia is helping to put out fires and respond to medical emergencies in three different communities in Washington state. In the town of Quincy, he is an emergency medical technician with private ambulance company, Protection-1, where he works 12-to-24 hour shift per week. The 27-year-old is also a resident firefighter/EMT with the City of Ephrata Fire Department, where he does weekly night shifts. And he has been volunteering (one weekend a month) for the Grant County Fire District 8 in Mattawa since 2015. That's where he first got basic firefighter training and EMT classes. "I hardly have any free time for myself because I keep myself pretty busy with these three agencies," he said. But Tapia-Garcia wouldn't have it any other way. He is proud of the role he serves in these communities. "As an EMT, we are first responders to accident scenes. I've delivered chest compressions and given oxygen to individuals who had difficulty breathing," he said. "I've also extricated people from crash sites." Tapia-Garcia, who arrived in the United States with his parents from Chiautla, Mexico, when he was 3 years old, gained his DACA status in 2014. If DACA dies with no permanent alternative, he won't be allowed to keep working once his status expires in two years. "My hopes and dreams will stop," he said. "This is what I want to do. It's my calling." Ivonne Orozco [left], 2018 New Mexico Teacher of the Year, says her DACA status has become a timely lesson on immigration for her high school students. For some of her high school students, Ivonne Orozco's DACA status has turned into a timely and personal lesson on immigration. 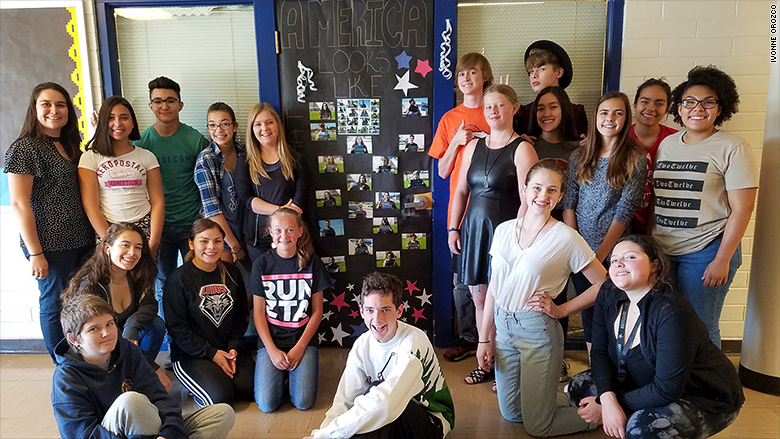 "My students are aware of my story and they're asking questions," said Orozco, who has taught Spanish at the Public Academy for Performing Arts, a charter school in Albuquerque, New Mexico, for the past four years. "It's great to see my students educating themselves, looking up what DACA means and becoming aware of the issue," she said. Orozco was 12 when she left Chihuahua, Mexico, and arrived in the United States with her parents. They settled in a small town in New Mexico, where she initially struggled to learn English. She credits her teachers for helping her assimilate and become fluent in her second language. "It's when I first noticed the power teachers have in helping you see yourself in a different light," said Orozco. She attended the University of New Mexico and received a degree in secondary education with a concentration in Spanish. "Having learned English late in life, it allowed me to be conscious of what that process is like. I felt it was my strength to teach a second language," she said. She wants her perspective as a woman of color in education to inspire her students. "We often have conversations in class about what success looks like," she said. "For many, I am the first Spanish-speaking person they know who has gone to college. So they look to me for answers they maybe can't get at home." After initially being skeptical of the DACA program, Orozco gained her DACA status in 2013. Her status is set to expire early next year. Orozco said she hasn't discussed with school administration what will happen to her job if DACA permanently ends. "I am hopeful that Congress will come through for Dreamers," she said.